As a leading Cincinnati Video Production company, it’s important that we monitor the latest mobile video trends. According to Ooyala’s quarterly Global Video Index, mobile video trends show an increase in video consumption on tablets and smartphones. 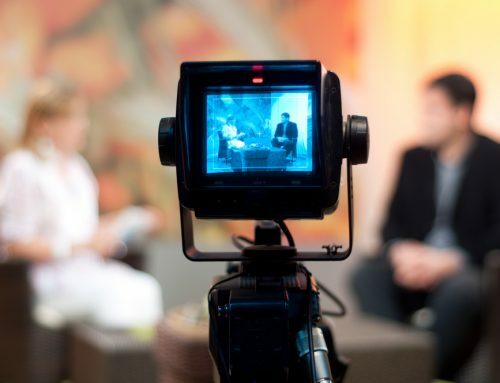 This may not come as a big surprise – it seems that everyone is “plugged in” all the time – but it has encouraging implications for video content marketing. Almost 50% of all video plays in Q2 of 2015 were on mobile devices, with smartphones accounting for 8 times as many plays as tablets. It appears that screen size holds less importance now than it did in the past. Mobility is key. Industry research found that 30% of smartphone users in the United States and Canada watch television shows on the device, while 20% watch full-length movies. As smartphones adopt larger screens, and consumers purchase data plans for tablets, mobile video plays are expected to increase. It is projected that by 2016, well over half of all video plays will originate from mobile devices. The projected annual growth rate for video consumption on smartphones and tablets is 44% in 2015, and 35% in 2016. Viewership from desktops has seen (and is expected to see) a gradual decline. As a leading Cincinnati video production company, we’re seeing these trends first-hand every day. Video length does help determine which device will most likely be used to view content. Short form video (1 to 3 minutes in length) is most frequently viewed on mobile devices, and users spend 67% of their time with “snackable” content – videos under ten minutes in length. Longer form video (ten minutes or more) tend to be distributed more evenly across devices. Tablets take the lead with 57% but desktop (40%) and mobile phones (33%) have a significant share of plays. Long form content of 30 minutes or more is viewed primarily on tablets at 36%, followed by mobile phones (23%) and desktop computers (22%). It is important to note that videos of all length have seen the most growth on mobile devices – connected tablets and smartphones. We’re operating in an era in which even toddlers are online. They are, after all, future consumers so industry research includes users as young as two years old. Children aged 2 to 12 were surveyed, and results show that 57% preferred watching video on mobile devices. The reason? Mobility and ease of use. The concept that video content should be viewed in a specific place at a designated time is outdated, and looking at the preferences of young people helps us understand what future trends will be. As a leading Cincinnati video production company, we create video for a wide variety of audiences. Perhaps this information doesn’t come as a surprise but it does say something about the future of Cincinnati video production. With trends leaning toward increased viewership on mobile devices, and a gradual decline in desktop views, video marking managers should keep device type in mind when optimizing video for the web. The number of video plays corresponds not only to the device type, but to video length and age of viewers as well. Video marketing efforts will see the greatest success when creating content of appropriate length for the type of device most frequently used.